Is it just me or is this week crawling by. Is it really only Thursday?? Yesterday my marathon training schedule called for 5 miles. 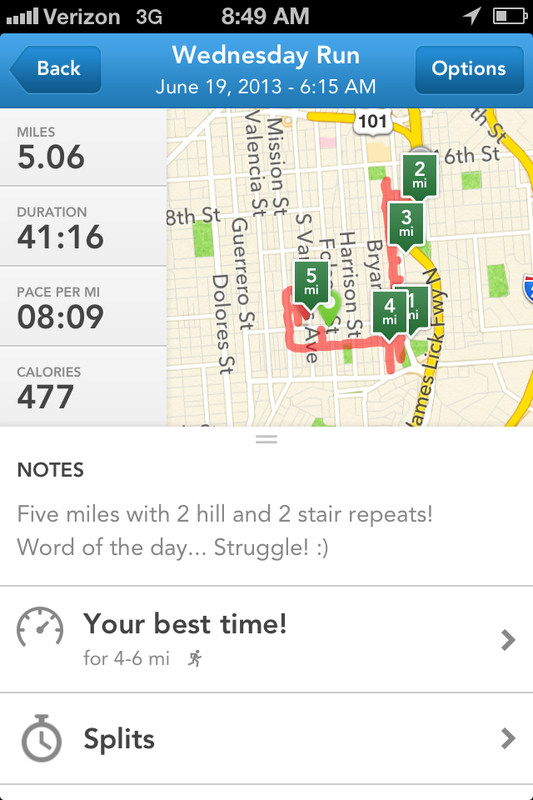 On a whim, I decided to turn the 5 miler into a 5 miler with hill/stair repeats. Let’s just say the word of the day was struggle. Sometimes it’s tempting to go for a flat, easy run and yesterday I was more tempted than most days, because my legs felt heavy. I was only 5 minutes into my run when my personal pity party began in my head. (read: doubt and justification for why quitting was the best plan).Then, I saw a huge mural (which I’ve run by many times) and the word struggle popped out at me. Immediately, my mind had something other than my run to fixate on. I started to contemplate this word struggle. I think in the past I associated struggle with failure. I thought that if I didn’t do something “perfectly” and with ease then there was no point in doing it. 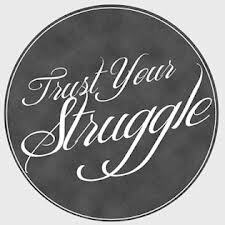 In reality, struggle is a huge part of the human experience. Without struggle, how would success be sweet? How would accomplishment have any meaning? And where would we gain our strength from? So as I ran, I tried to embrace the struggle. Struggling will make success sweeter. Struggling will make me realize that perfection is not the goal. The goal is living in the moment no matter how that moment feels. The goal is embracing the human experience instead of avoiding something that may be hard or unpleasant. Do you avoid tough runs or things you struggle with?? I try to keep with my tough runs, and I do seek out challenges. 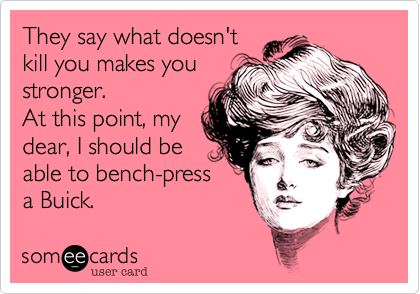 On the other hand, I listen to my body a lot, because sometimes it’s smarter than I am. Hi! I am training for the Nike Women’s Marathon! How was the race last weekend!? Awesome job! Want to do that one next year. Thanks for the invite!! Looks great, I will see if I can shuffle my day around to make it. 🙂 I would love to make some sort of casual run meet up with SF women… We should chat!! A little struggle is a good motivator for me. Shows me what I need to improve on!